There is an intriguing new living system that has appeared on the tiny house landscape. The Ecocapsule, is an exciting new option for individuals wanting to downsize, while maintaining a sustainable lifestyle. 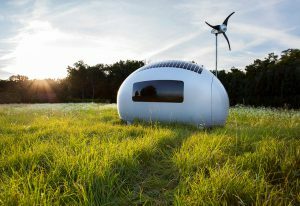 The Ecocapsule is built in the Slovak Republic, but is available to be shipped to anywhere in Europe, including the UK. Though Slovakia is perhaps not as well-known as many other European countries, it is a land of exceptional beauty. And from this beautiful, tiny country, has come a beautiful tiny house. Created by architects and designers, it has a very sleek contemporary appearance. And despite its small size of just a bit more than 11 square meters, it seems surprisingly more spacious inside. 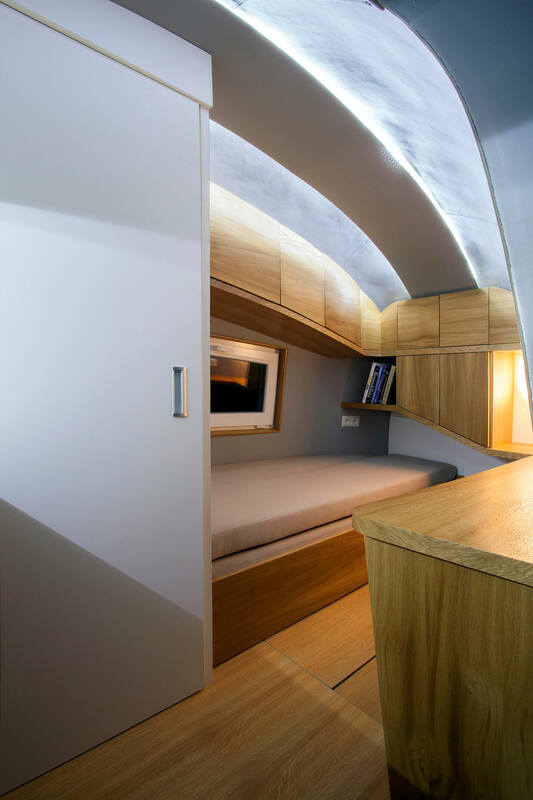 It’s roughly comparable to the size of a container home and offers a dining/work space, sleep space and shower room. Another major plus is that it utilizes both solar and wind power and has a rainwater collection system, but it can also function with conventional energy sources when necessary. The Ecocapsule also comes equipped with small wheels for transporting and even has a hook on the roof so that it can be lifted with a crane. The first generation of Ecocapsules are currently being produced and shipped. There will be 50 in all produced, before a second generation is introduced in early 2017, which will be unlimited. The company predicts that the price of the second generation will be more inexpensive.